In my daughter's school, she is exposed to different kinds of people. Apart from the varying personalities of the kids in their classrooms, there are also pupils in the school campus who are not Filipinos and some have special needs. Because of this, seeing people of various conditions and race isn't new to her. As a matter of fact, she is amazed at the idea of "difference" and she learned to embrace it. I taught her to be good and kind to everyone no matter what their color is and even if he or she has a disability. My 5-year-old daughter Bella is very compassionate, so instead of laughing at other kids, she would say hello and start a conversation. It is nice that she was able to build up this kind of perspective while still young. No wonder she was beaming with joy when she saw the Celebrate! 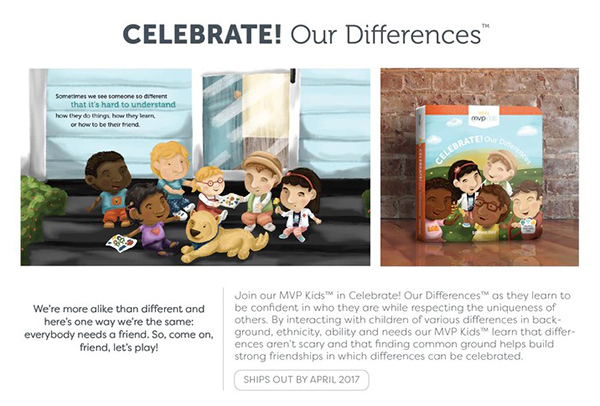 Our Differences book. Looking at the cover, she observed that each child is different but they are happy being together. She was so excited to read it. I am also proud that at an early age, she could already read lengthy books and comprehend the lessons from it. Because of that, I am sure that she will learn tons of good things from the Celebrate! series of Real MVP Kids. The Celebrate! 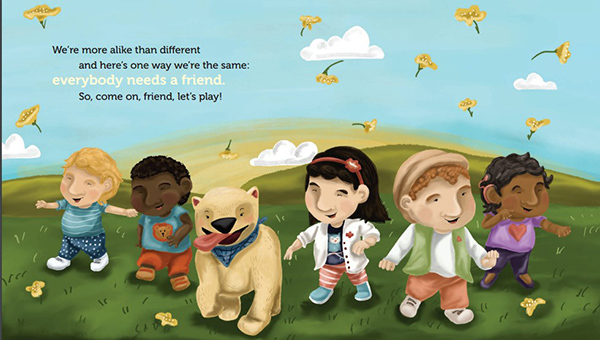 Our Differences book teaches our kids how to treat other children whom they think are different. It shows us that we should love each other no matter what. This is indeed an important lesson especially these days when issues of racism and discrimination are being raised even on social media. It is necessary that they are aware of this issue and they know how to address it. But it doesn't just talk about differences. It also shows that even if another kid speaks a different language, he can still be a playmate and a friend. It teaches kids that they can play music and make artistic drawings with those who have special needs. It clearly showcases the value of accepting and loving others no matter who they are, where they came from and what they look like. This book was Bella's bedtime story last night even if she is already done reading it. After reading the story, I asked her how she should treat kids of different races, those who are in wheelchairs or those who are deaf. She said that we should not point and laugh at them. We should say "Hi, how are you? What's your name?" She even added that she would ask,"Can we be friends?" Another good thing about the Celebrate! 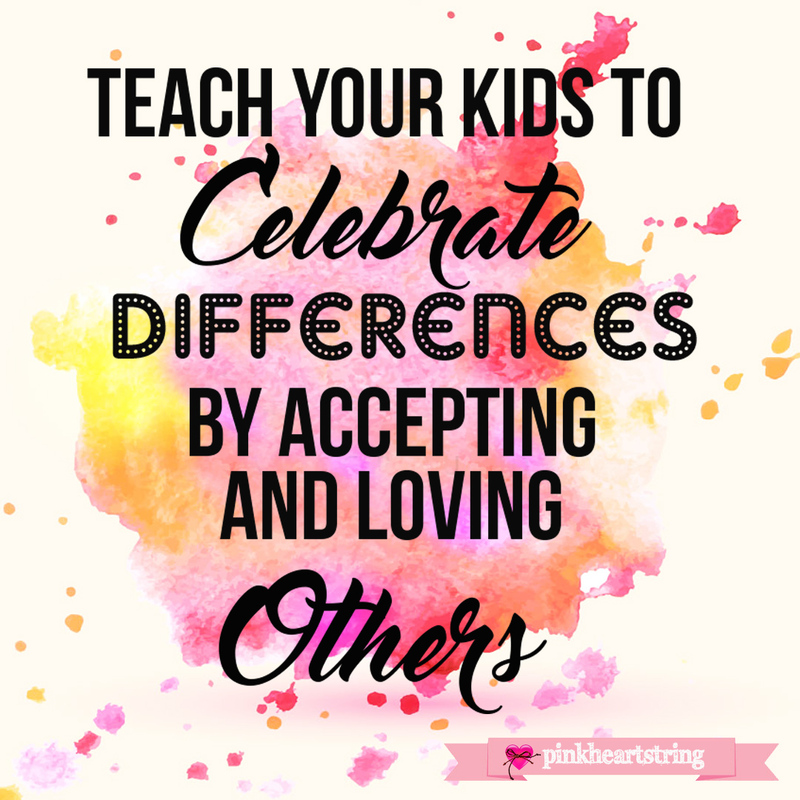 Our Differences book is the Helpful Teaching Tips part wherein parents are given a guide on how to use the book in inculcating positive things to the children. I like the part wherein the difference of judgment and observation was pointed it. It is indeed something I never thought of. But it is really nice to say someone is different than say that someone is ugly, right? You can teach all these to your kids using the Celebrate! Our Differences book. For sure, you will like this book for your children. Apart from the lessons the kids can learn from it, it comes with colorful illustrations and it is nicely written too! Your kids will also get a good grasp of each page because this is a board book, which appeals to kids. With that, I am sure that my 3-month old son, Quiel will still be able to read this book. And yes, this could also be a perfect bedtime storybook for him when he grows a little older. So, if you also want your children to get a copy of this book, go ahead and support Real MVP Kids in their Kickstarter campaign. This is a perfect book to teach your kids about diversity. Aside from this book, there are still seven other lovely books from Real MVP Kids which I will also review. 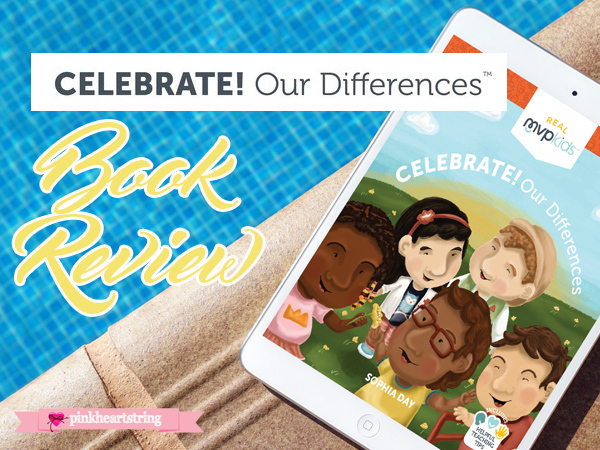 Come back for my review of the second book, Celebrate! Bed Time. This is a really good kickstarter campaign with a great educational and positive messaging initiative for the kids. I also love the drawings, they are very friendly and engaging. Looking at the pictures in the campaign is inspiring. It's so important to embrace diversity, I'll be sure to share this. I like the idea of coming up with this book. I guess it's more important now more than ever to teach kids diversity, inclusion, and celebration of individuality. As an adult, I know it will be a big help if more kids were taught how to be more respectful and accepting. The world will be a better place if that happens. It's a great campaign. I think teaching kids to be respectful and tolerating is very important, and unfortunately not enough are taught to be. That in the end we may are different but we are all the same, and discrimination is a shame. It's not always easy to teach kids as school is a place where they can point out differences and when they are too young they don't realize they can hurt the others.